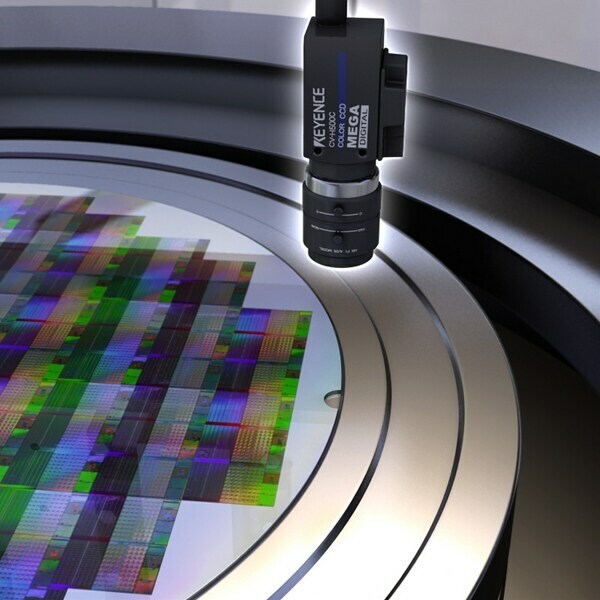 The vision system detects the rotational position of wafer notches. The resolution of the 5 Mega pixel camera and the built-in algorithms of the Trend Edge Stain tool makes it possible to stably detect the notch and also output the position and dimensional data. A 2 Mega-pixel camera was used to detect the position of the notch, but the repeatability of the camera was not stable. By implementing the XG Series system, a 5 Mega pixel high-speed camera and the new Trend Edge Stain tool, the notch was stably located.